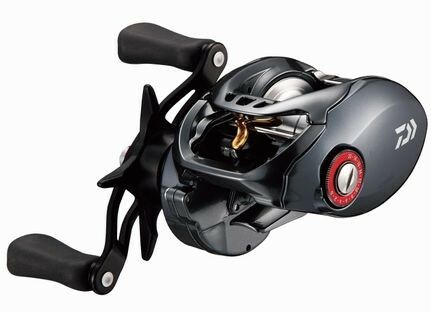 Daiwa Tatula SV TW reel is compact, solid bait caster with super casting performance. With the combination of SV and TWS, you may enjoy skipping rigs, which was enjoyed only by a limited, super skilled anglers with high-end tackle. Its body size is as small as that of Zillion SV TW1016, offering great fit to even a small palm. Daiwa's innovative TWS level winder system adds casting distance by 5%. Extra Strong Duralimin SV concept 33mm dia spool and Daiwa Air magnet brake system offer comfortable casting from 4g, 1/8oz or heavier.